Spotify has millions of tracks that users can listen to for as long and as often as they want with their premium subscriptions. But who really has the time to sift through that many tracks and build the smartest, most perfect playlist by adding each track one by one? While access to lots of great music for a good price is a must ​in this day and age of streaming, it's perhaps just as important (if not more) to have access to tools and resources that help us discover music and build our playlists in the quickest and most efficient way possible. We're just too busy these days to waste so much time doing it manually without any help. 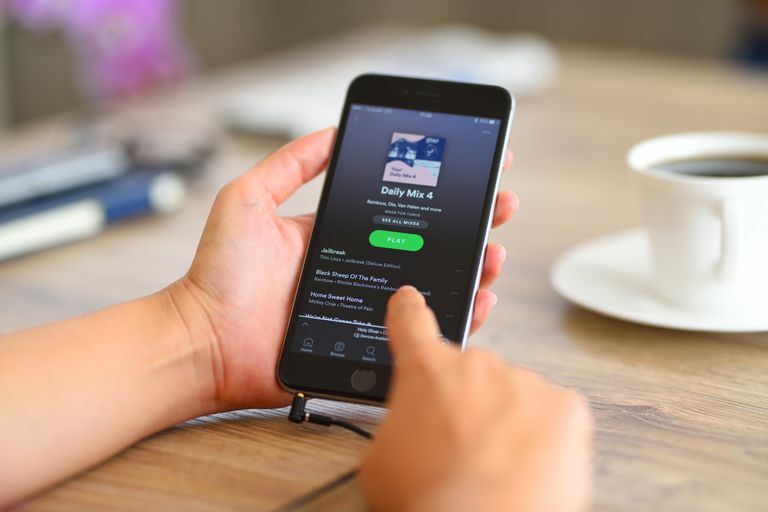 If you want to build killer playlists, but don't want to sacrifice hours of your time and energy, consider checking out some of the following tools and resources that have been built just for creating awesome Spotify playlists—some of which are offered by Spotify itself and others that come from third-party developers. Life is too short to spend it looking for the perfect track to add to your next playlist. You deserve to spend more listening and less time finding and organizing tracks! The Playlist Miner tool on PlaylistMachinery.com. The first two tools on this list come from Playlist Machinery. Let's say you're in a certain mood, or you're doing a certain activity or you want to listen to a specific music genre. The Playlist Miner can take search terms like "mellow," "workout" or "country" and identify the top tracks from the most popular public Spotify playlists. The tool works by connecting to your Spotify account and then showing you a list of playlists it found based on your search criteria. From there you can then click "Find Top Tracks" to see a list of individual track suggestions and their scores. Boil the Frog tool on EchoNest.com. Feel like listening to two different artists or music styles, but can't pick just one? Try "boiling the frog" by creating a seamless playlist between two different artists. This tool takes the first artist and creates a path by identifying related tracks that eventually bring you all the way to the second artist you entered. If you like what you see from all the tracks suggested in the path, you can save it to your Spotify playlists. You can get playlists automatically generated for you by Spotibot just by entering in an artist name or by linking it to your Last.fm profile. You can get up to 50 tracks generated as a playlist and choose whether you want more popular tracks to be favored. You can also play around with better links that Spotibot has to offer, which just involves replacing any open.spotify.com in any Spotify URL with spotibot.com instead. You'll see more informative details like tracklists, biographies, cover art and more. Need a playlist created for you in seconds? With Magic Playlist, all you need to do is type the name of a single song into the given field that represents the genre or overall feeling of the playlist you want, and voila—a playlist of 29 more songs (for a total of 30) will be suggested to you based on that original song. You can sign in to Spotify with Magic Playlist and then seamlessly save any playlists you create to your Spotify account. Magic Playlist also lets you title it and set it to public or private directly on the site. Spotify has a lot of users creating thousands of new public playlists all the time, and Playlists.net is sort of like a third-party search engine for those playlists. You can search for playlists, submit your own for others to discover, check out the charts for popular playlists or use the playlist generator. Don't forget to browse through the genres and moods on the front page. Use the filter options at the top to select genres/moods and sort them by featured, most played or the latest. The Discover Weekly playlist on the Spotify desktop application. Discover Weekly is actually a Spotify playlist itself, accessible to every premium user. Every Monday, Spotify updates this playlist with 30 new tracks based on what you've already been listening to. It's a great way not only to get a brand new playlist automatically tailored to your music tastes but also to discover new music you may want to add to other existing playlists. The more you listen to on Spotify, the better your Discover Weekly playlists will get! The Release Radar playlist on the Spotify desktop application. Like Discover Weekly, Release Radar is another recently introduced Spotify playlist that features personalized new releases from your favorite artists. This way, you'll never miss out on new singles or albums you'll be sure to want to listen to as soon as they come out. While Discover Weekly is updated every Monday, Release Radar updates every Friday. You'll get up to two hours of music from artists you follow and listen to the most, bringing you brand new songs that will be sure to make great, fresh additions to some of the playlists you already have created. The Soundtrack app on an iPhone. If you often listen to Spotify while on the go using your iOS device, then it may be worth downloading this free app. Sorry Android users, no app version for you at this time! Soundtrack is an app that fully integrates with Spotify, allowing you to browse your existing playlists, play a song preview, and then view a card of 20 curated song suggestions based on what you just played. Related artists are also shown according to the artist songs you play. If you find a song you like on Soundtrack, you can easily add it to a Spotify playlist directly through the Soundtrack app itself!